If some of those you follow are base in regions like the united States, then you might probably have noticed some live videos in the insta story section. The Instagram story live video feature was launched in November 2016, but it was only made available for a few regions only. 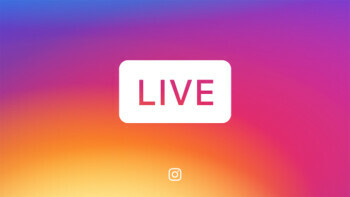 Now Instagram has announced that the insta story "live video feature' is now available for everyone. "Today we’re excited to share that live video on Instagram Stories – a new way to connect with your friends and followers right now – will be rolling out to our entire global community over the next week. From real-time makeup tutorials to live DJ sets, it’s been exciting to watch as the community shares new sides of their lives." So now, irrespective of where you live in the world, you can now create a live insta story video. To access this new feature, all you need do is swipe right from feed and choose "Start Live Video" in the camera. Once you are through with your story, the live video will automatically disappear from the app. Aside that, Instagram users will also be able to see Top Live on Explore, if you want to watch some of the popular Instagramers that you are not following. Remember that this feature is gradually rolling out to all regions. So Incase you don't have it yet, you just have to wait until the update gets to you.